Patrick Kinas returns to Westwood One as a play-by-play announcer for figure skating and short-track speed skating at the 2018 Winter Games in PyeongChang. Kinas called swimming and various additional events at the Rio 2016 Olympic Games. 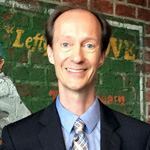 Kinas is currently the TV/radio voice of the Durham Bulls, the Tampa Bay Rays’ Triple-A affiliate. Patrick also is an independent contractor for ESPN and Time Warner Cable. His portfolio ranges from football, basketball, baseball and softball to field hockey, volleyball, wrestling and lacrosse, across their family of networks. Kinas has been the national play-by-play radio voice of college football’s East-West Shrine Game at Tropicana Field since 2013. A former Guinness World Record holder (for marathon bowling), Kinas is also the lead broadcaster for the North Carolina High School Athletic Association (NCHSAA) state championships in football, basketball, volleyball and swimming and is the radio voice of NC State women’s basketball.